Gears of War 4 is set to grace the cover of the upcoming issue of Game Informer magazine, and details about the story are beginning to emerge through the magazine's digital issue. With just a few pieces of information, the game's story is beginning to make a bit more sense, and we can see where things might go. The main character is JD Fenix, the son of Marcus Fenix. 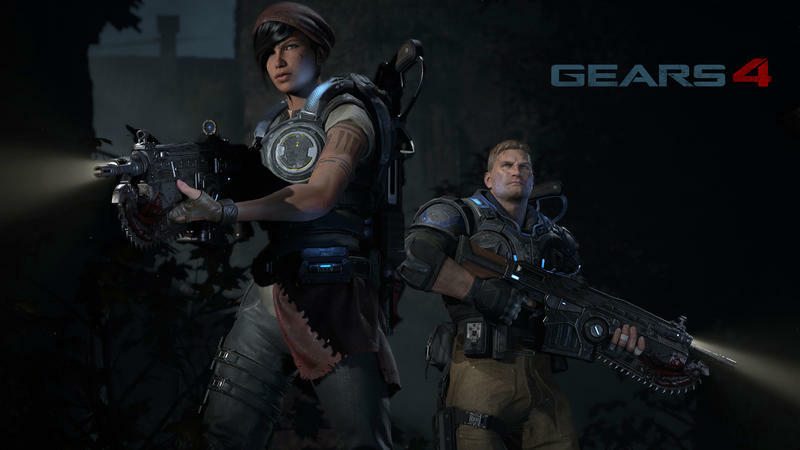 Gears of War 4 takes place a full 25 years after end of the original Gears trilogy. JD is on the run after being involved in a "classified incident" that also involves one of the other protagonists, Del Walker. The story will take place over a period of 24 hours. We know that the device meant to (spoiler alert) kill off the Locusts in Gears of War 3 worked, but it also destroyed the planet's main source of fuel. In an attempt to survive, the remaining population has been sealed away in walled cities by the military group, COG. There are some people, though, who have chosen to live outside the walls, and that's the initial point of conflict for the story. Appropriately enough, they're called The Outsiders. "The Outsiders are a group of people who are purposely stepping outside the COG and breaking free because they think life isn't worth living unless it's lived free," Rod Fergusson, producer on the game, told Game Informer. "As we were conceptualizing The Outsiders, we initially started with the hippie movement, but then we realized we wanted to them to have an edge and we started thinking of them more like this 1970s motorcycle gang." The third protagonist, Kait Diaz, is part of The Outsiders. We're sure to get more information at E3 this summer. The game is set to release this fall, and while we wait for E3, a beta is set for this spring.